What is something you cannot do without daily? For me, it will be sunblock and concealer! Concealer to hide imperfections before i can go out and face the world..
Protection against harsh UV rays is a major concern for most people – We have sun protection for our skin, body, lips and hair… We can keep ourselves hydrated and ‘safeguard’ our well-being under the hot sun with beverages and ice cream. 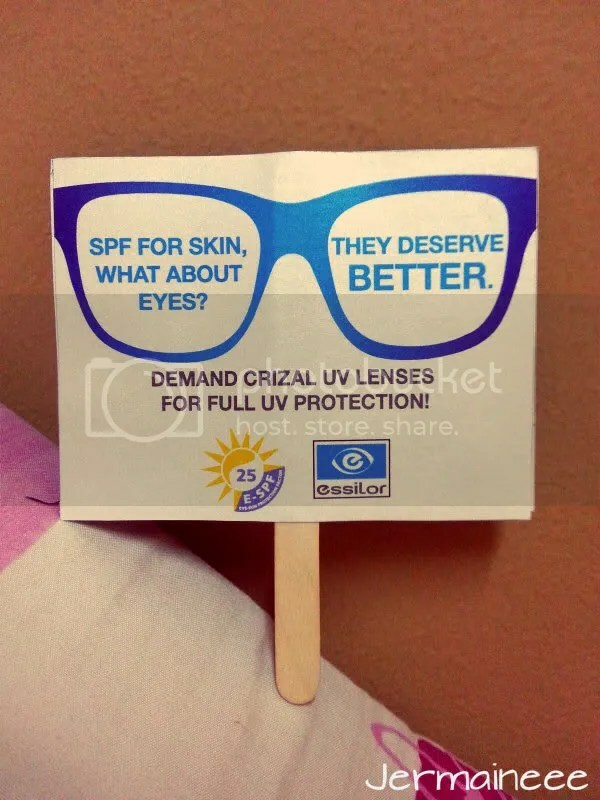 But what about UV protection for the eyes?? 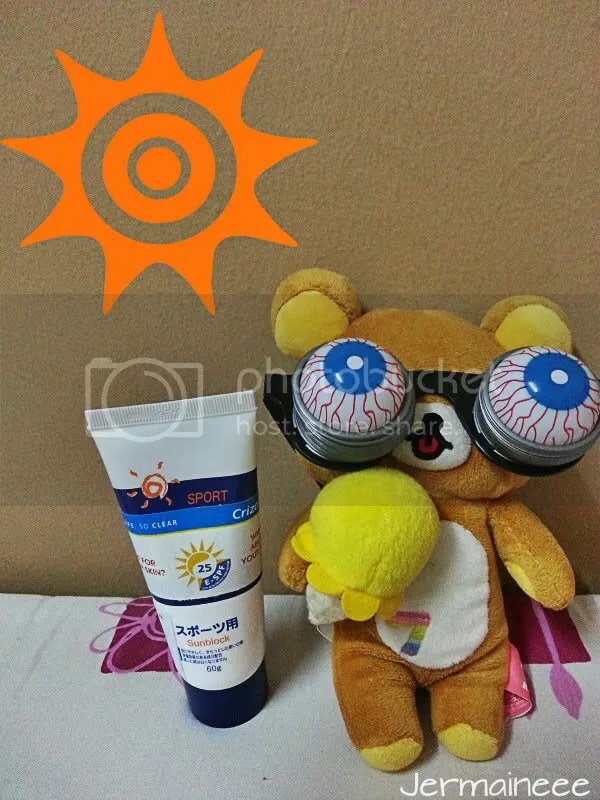 Just like what Rilakkuma is doing under the hot sun – slapping on sunblock for his face and body while keeping himself refresh with ice cream.. However, he is not protecting his eyes from the harmful UV rays and over-time it will lead to many eye issues. Research has shown that UV exposure will accelerate eye aging and triggers cataract (Not forgetting higher risks amongst other vision problems as well). In addition, it has been found that 40% of UV rays can reach eyes even when you are not exposed to the sun as it is also found in other forms of light. 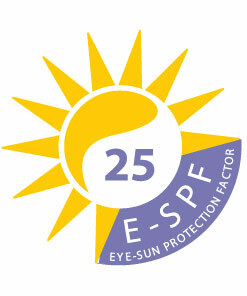 While UV lights will impacts our eyes’ health detrimentally, we will ignore / neglect it compared to the effects on skin. Beside taking care of our skin and protecting it, it is also of paramount importance to start safeguarding our eyes from UV rays.. Therefore, to change our mindsets and to make consumers start to be consciously aware of UV protection for our ‘windows to the world’; Essilor has launched another new eyewear lenses in the market.. Known as CRIZAL UV, this Ultra UV Protection lenses with GROUNDBREAKING GLOBAL E-SPF INDEX* will provide highest front UV blockage and back UV reflection (in addition to fighting against the 5 enemies of vision). My Fiance and Myself are the biggest fan of Essilor lenses (He’s using the Crizal lenses (not sponsored) while i’m hooked on my Optifog and Crizal lenses).. I’m not raving about it because of the sponsorship but i really love the lenses because of its capabilities and benefits.. Therefore, i’m really excited when Essilor presented its latest breakthrough in corrective vision care – The Crizal UV lenses… It is the first lenses in the market that offer both front and back UV protection with the new exclusive UV protection property.. 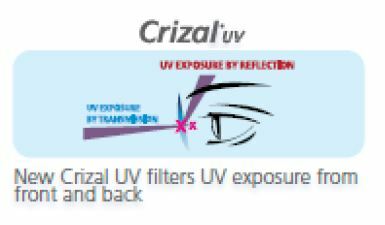 So with Crizal UV, you can combat the existing five enemies of vision (reflections, scratches, smudges, water drops and dust ) and also minimize harmful UV rays from the front and the back of your lenses..
the clarity of vision and is available in clear and Transition lenses. So how does the Crizal UV lenses with exclusive UV protection property work? Most eyewear anti-reflective lenses existing in the market are able to block harmful UV light from the front so wearer might think that their eyes are fully protected from direct frontal UV transmission. 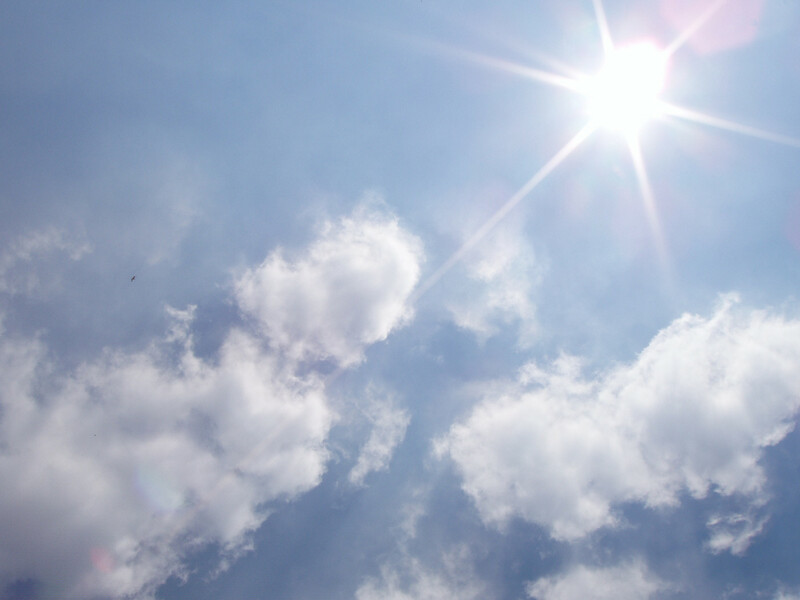 However, the truth is that the greatest remaining UV danger comes from back UV reflection. UV reflection occurs when the concave rear surface of anti-reflective lenses acts like a collector in a reflecting telescope, focusing UV rays directly upon the cornea and inner structures of the eye. Because many of us are caught unaware this threat, back UV reflection is particularly dangerous as it is invisible… Invisible in the sense that visual ability is not immediately affected by this back reflection and therefore there are no discomfort. As a result, there are no natural defenses to UV such as pupil contraction and squinting thus misleading wearers into thinking that no harm is inflicted. The new Crizal UV coating will greatly reduce both visible front UV exposure and back UV reflection, providing full 360-degree protection for both the front and the back of its lenses. Crizal UV lenses also come equipped with Eye-Sun Protection Factor (E-SPF) 25, which means that the wearer will be 25 times more protected against UV than without any lenses. When bench-marked against other lenses in the market, Crizal UV lenses wins hands down by providing a staggering eight times more protection. In the market, existing “100% UV Protection” lenses can only provide protection from UV transmission from the front of the lenses. 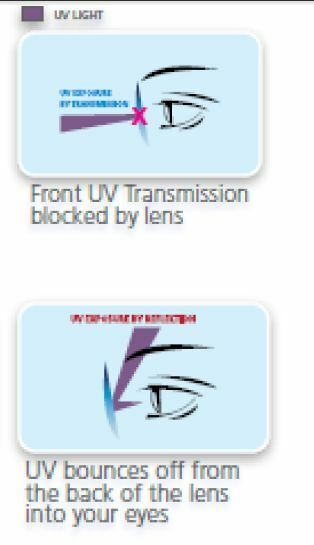 Many of us are not aware that these lenses will not block UV from all directions so there was no index that measures sun protection from both the front and the back of the lenses. 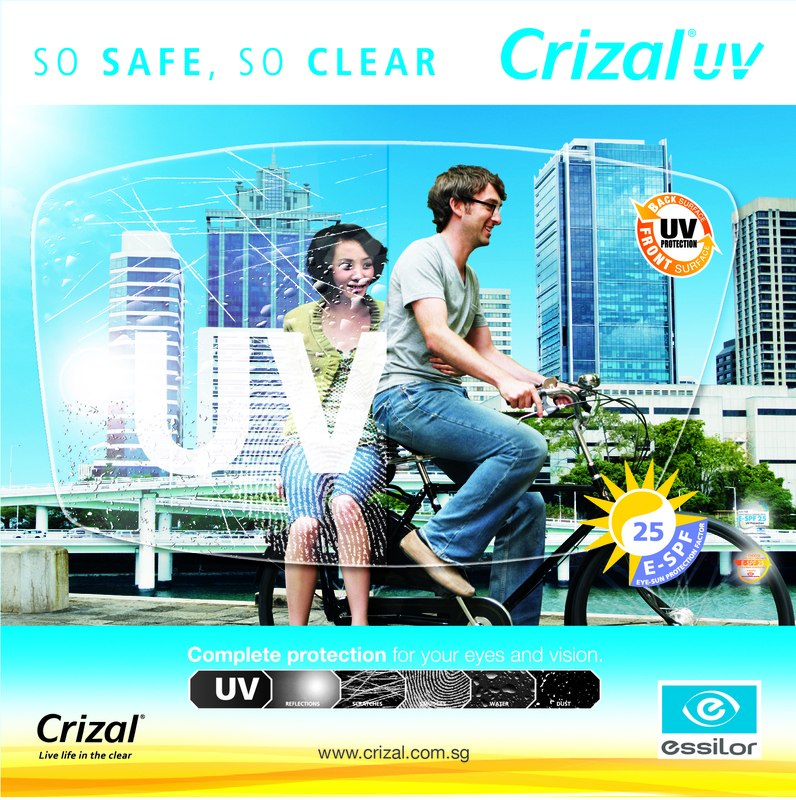 With the new Crizal UV lenses, you can now live life healthy and clear because eyes get comprehensive and unparalleled protection from the key enemies of vision – reflections, scratches, smudges, water drops, dust, and now, harmful UV rays that assault eyes from the front and the back. 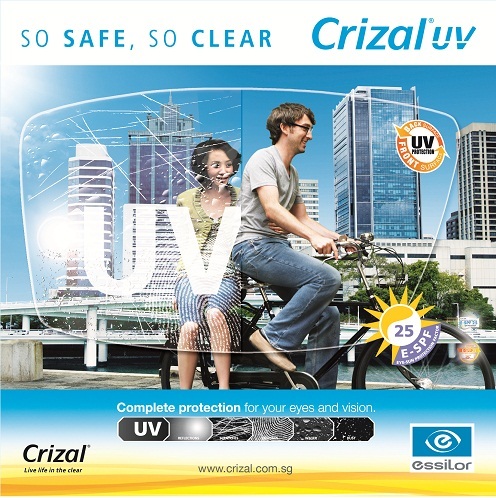 For more information on Crizal, you can visit http://www.crizal.com.sg..
For more information on the new Crizal UV and on E-SPF, you can visit http://www.espf.com.. Meanwhile, i’ll keep you guys posted once my sister has tried the new Crizal UV lenses.. She is in need of a new spectacles so i’m giving away the lenses to her..